It's the time of the year for my favorite holiday - the 4th of July. Go out & celebrate the independence that many have fought for! I'm all ready. Brats, chips & my box of harmless yet illegal sparklers. 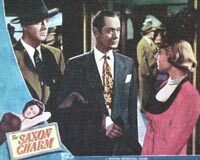 The Saxon Charm isn't a movie that comes to mind when you think Robert Montgomery. 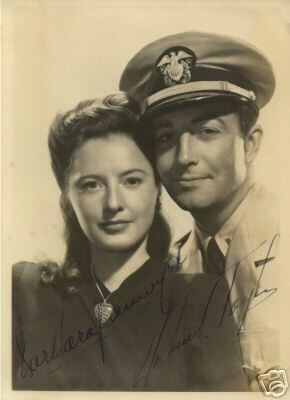 From 1948, the film seems more like a platform for John Payne - an actor you really don't hear much about (I'm sure he has fan blog too). No worries, Bob draws you into the storyline with some flashy ties & a strong performance as Matt Saxon, a fella you love and hate at the same time. Here's a quick plot rundown from the NY Times' original review. The film is based on a novel of the same title by Frederic Wakeman. Looks like you can get it used from dealers on Amazon. Also looks like Wakeman is the author of The Hucksters, another film I had on the blog not too long ago. Audrey Totter appears in the film as Alma, Matt's love interest. Ever have one of those actors/actresses that kind of annoy you, yet you're drawn to their roles? She's my loveable annoyance. I love Bob's ties in the film. Still, they're quite the difference between one of his suits from the early 30's. The ties rank up there with Robert Walker's oddball ties in Strangers on a Train. 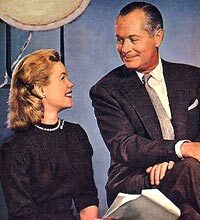 FYI - grabbed this bit off of IMDB for you trivia buffs: "Robert Montgomery patterned his portrayal of a ruthless Broadway producer who lets nothing stand in the way of getting what he wants, after Jed Harris, a noted Broadway impresario who had the same reputation." Style at its finest. Nuff said. Some of the greatest aviation films of the past 50 years will be part of the new EAA Fly-In Theater, which is showing these movies nightly July 23-29 during EAA AirVenture Oshkosh 2006. The 54th annual EAA fly-in convention takes place July 24-30 at Wittman Regional Airport in Oshkosh, WI. Each night's feature, shown on a screen five stories tall, is free of charge to all EAA AirVenture attendees. Even popcorn is included! Sunday, July 23: Those Magnificent Men in Their Flying Machines (1965), a classic aviation comedy starring Stuart Whitman, Red Skelton and Benny Hill. Introducer to be announced. Monday, July 24: The Blue Max (1966), starring George Peppard and James Mason. Introduction by: Kermit Weeks, EAA board member and owner of Fantasy of Flight museum in Polk City, Fla. Kermit's collection includes some of the World War I aircraft types featured in the film. Tuesday, July 25: The High and the Mighty (1954), starring John Wayne and Robert Stack. Introduction by: Vern Raburn, Eclipse Aviation CEO and EAA board member, who owned and flew a Lockheed Constellation similar to the one featured in the film. Wednesday, July 26: Air Force One (1997), starring Harrison Ford, actor, pilot, and EAA Young Eagles Chairman, and also starring Glenn Close and Gary Oldman. Ford will also introduce the film. Thursday, July 27: The Great Waldo Pepper (1975), starring Robert Redford and Susan Sarandon. Introduction by: Tom Benenson, senior editor of FLYING Magazine. Friday, July 28: 633 Squadron (1964), starring Cliff Robertson, Academy Award-winning actor and longtime EAA member, as well as George Chakiris. 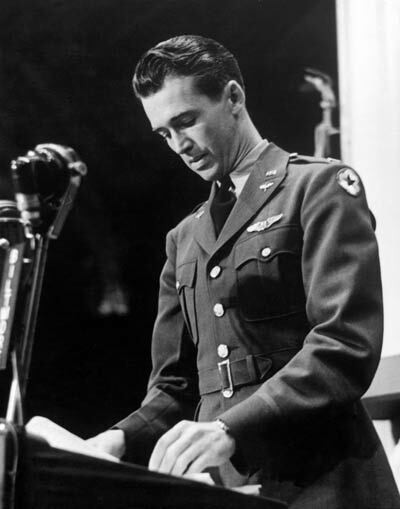 Robertson, the inaugural EAA Young Eagles Chairman in 1992-94, will also introduce the film. Saturday, July 29: Battle of Britain (1969), with an all-star cast including Michael Caine, Sir Laurence Olivier, Christopher Plummer, Harry Andrews, and Robert Shaw. Introduction by: Cliff Robertson. Who was considered for Mr. and Mrs. Smith (1941)? 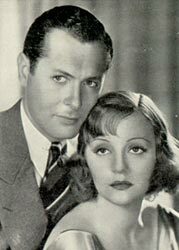 For Alfred Hitchcock's rare venture into screwball romantic comedy, the director wanted to pair Grant with Carole Lombard as the married couple who learn their marriage is not legal. 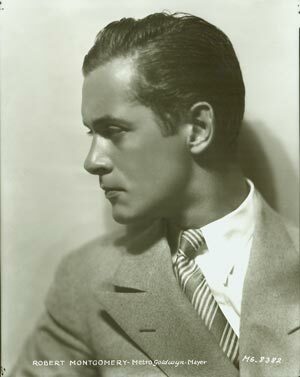 Robert Montgomery turned down the role of "Peter Warne," the newsman who chases the runaway bride. It won Gable an Oscar. 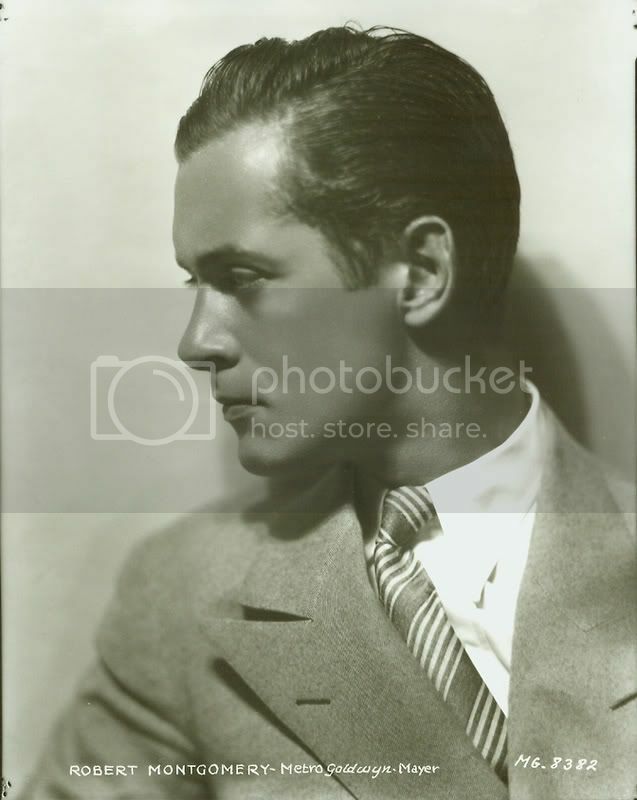 "Capra wanted Robert Montgomery for newshound Peter Warne, but he refused, having just made a bus picture, a not very successful one called Fugitive Lovers. 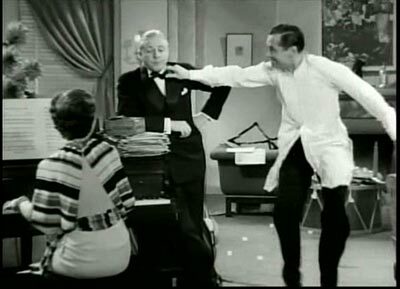 There are some plot similarities between the two films, but Fugitive Lovers is not a comedy, even though there is some comic relief provided by Ted Healy and the Three Stooges (Larry, Moe and Jerry, not yet Curly). The plot is considerably more contrived, the romance is pallid and the film ends with a Colorado blizzard/school bus wreck set piece that is quite different from anything that occurs in IHON. 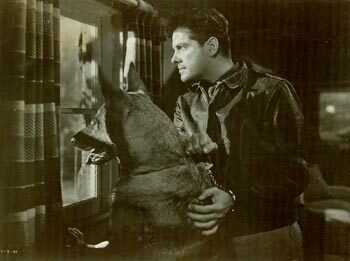 Proposing Fugitive Lovers as a direct influence on the latter film is a stretch, in spite of the opinions of such venerable film writers as William K. Everson." 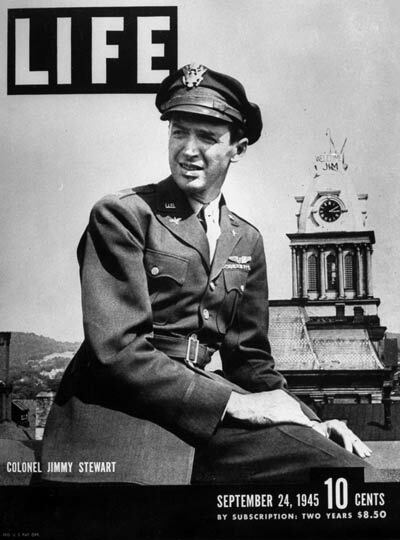 "I see a 2 1/2" to 3" difference in height in that picture between Jimmy Stewart and Robert Montgomery, making Montgomery about 6' to 6'-0.5"
Since we've entered the few months of sun and warmth for this part of the country, I'm watching fewer movies & trying to get more fresh air. For the past week I've been watching Johnny Apollo. It slipped my mind that I get the Fox Movie Channel on satellite. While their programming is a mix mash of old and new movies, every once in a while I'll TiVo them. First off, I really dislike how they put the giant "TV PG" symbol over the beginning of the film - only because I'm burning it to DVD. TCM has that rating placement down to a science. As I've mentioned in past posts, I'm into prison & gangster movies. 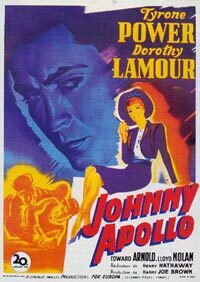 Johnny Apollo fits both, but is an odd film - it's Tyrone Power's fault. The film features a great cast: Edward Arnold, Dorothy Lamour, Lloyd Nolan (I loved him as the bad guy here). I understand that they wanted to take a clean & perfect character & turn him into a criminal, but it's awkward watching Tyrone in the part. Maybe because he never becomes a *real* criminal. Plot aside, it was hard to connect with his character. 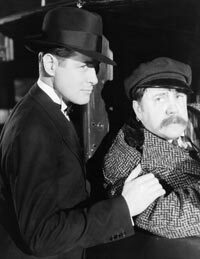 Edward Arnold was fun watching - the investor/embezzler turned prisoner & damn good boilermaker. Vincent Sherman, who directed - and romanced - Bette Davis, Rita Hayworth and Joan Crawford during his heyday as a leading Hollywood filmmaker in the 1940s and '50s, has died. 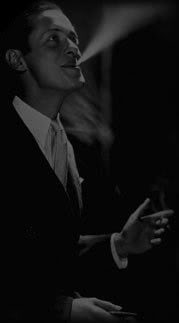 He would have been 100 on July 16. *Blah* Ok, both are good ones...check your local listing for time zone differences. Read the rest here. I think I agree with Mordaunt on what he wrote - wow, now there's a dated name. 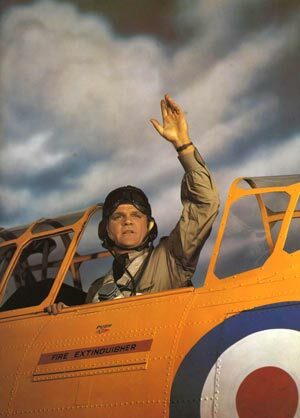 I think I like James Cagney better as a gangster, but I'll take him as a Canadian pilot Brian MacLean in 1942's Captains of the Clouds, eh. Thanks to JTK for the photo (and many more). 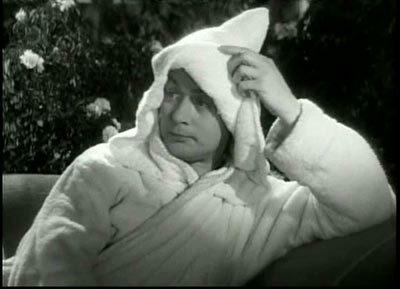 Go visit his Kay Francis/Pre-code blog when you have a few. I was cruising around my typical news web sites this morning & noticed that the AFI issued another list, this time of the top 100 inspirational films of all time. It amazes me how they can keep generating these lists, each with a different slant. Wasn't their first crack at this the top 100 films of all time? Anyhow, I'd have to imagine that their list topics ten years from now will get pretty specialized: "top 100 movies where leading man was having an affair during a full moon in 1937." 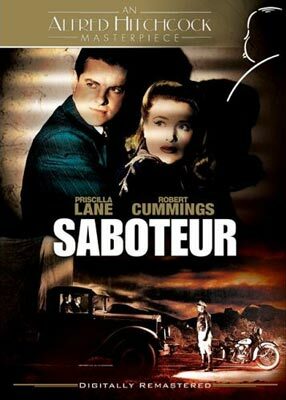 Just keeping with the Saboteur theme. 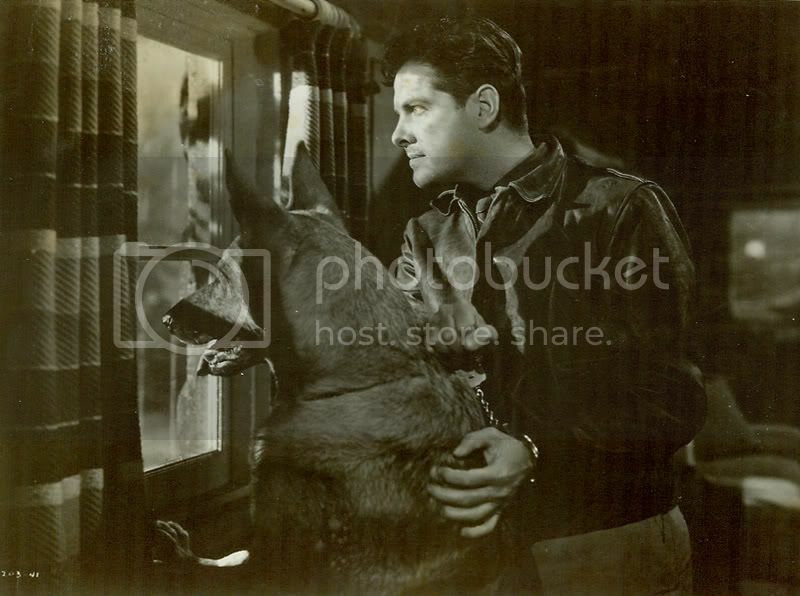 Cool shot of Robert Cummings and Rin Tin Tin look-alike (ok, could be the real dog for all I know!). Larger photo here. One of my favorite films is Hitchcock's Saboteur. Noticed they're reissuing the film for the umpteenth time on DVD. I just think the box art is cool. When Universal Studios Florida had the Alfred Hitchcock *ride* there was a queue area where they gathered everyone before going into the theater. Well, to pass the time, they asked the crowd Hitchcock trivia. I was answering all of their questions. They kindly told me to let "others participate" (read: shut up) so I started feeding answers to my mom. I wish they kept that *ride. * Last I was at Universal, they turned it into Shrek 3D. Caught in a Riptide, What Shall I do? I love this line from Riptide: "She's cooling off like some beautiful volcano that has decided not to wipe out a lot of Italian villages." I started watching the movie & strangely realized I know the words to the title song "Riptide." I won't start singing here, thankfully. 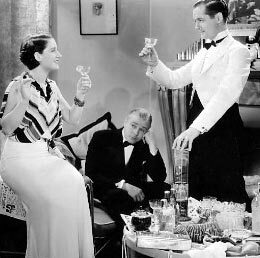 1934 's Riptide features Robert Montgomery & Norma Shearer - with perpetually sullen Herbert Marshall (that's ok, we still love him). I want to see Bob do the Charleston. Seriously, I will pay to see this. What's with the bug costumes? 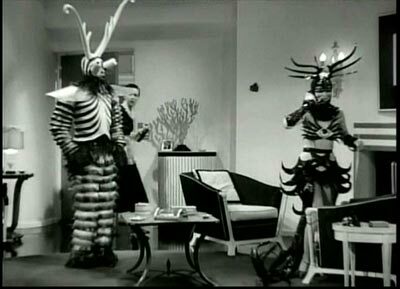 When you're writing a story, do you say, "I'm going to add this scene with insect outfits...it'll be great!" Shake gin, lemon juice, and syrup with ice. Strain into a champagne flute. Top with champagne. 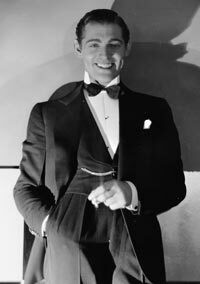 Bask in the glory of a 1930 George Hurrell. Larger photo here. If you're into buying autographs online, especially from ebay, check out this guide on ebay.uk. There's some real criminals out there - don't get sucked into buying crap! 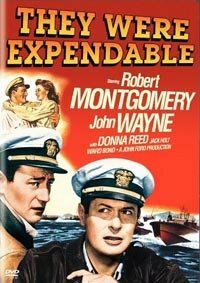 They re-released They Were Expendable this past week, along with a bunch of John Wayne/John Ford movies, all for a JW/JF box set. I'll admit, it totally slipped my mind til I saw the boxes of John Wayne DVDs at Sam's Club. And I mean boxes. If it isn't in bulk, you're not at Sam's. Anyhow, reissues without any additional material are pointless. Sure, TWE is in a nicer clamshell box with different artwork, but it's the same film with the almost required *Theatrical Trailer* tacked onto it. What about photos? What about a *making of* documentary? What about...I could go on. Do a search for TWE on Amazon - there's seven different ways you can buy the movie! Seven! I'm sure someday they'll come out with the *Super Mega Collector's Edition Pro* - the movie and trailer on two disks. Talk about digging around, there's a Elizabeth Montgomery family tree on Bewitched.net that really gets into detail. Interesting read if you don't get lost in the branches! Just spotted this over on ebay. $300. Love the photo, hate the price. Robert & Barbara. 84 minutes of pure mystery pleasure. Everyone loves a murder mystery. I'm no different. 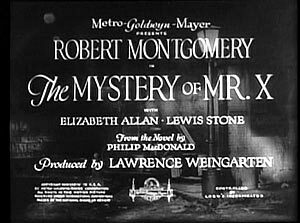 I watched 1934's The Mystery of Mr. X last week & loved it. Take London, a suave robber, a diamond, and a murderer and you have the makings of a decent story. As always, I'm too lazy to write out a storyline, so check it out over here. 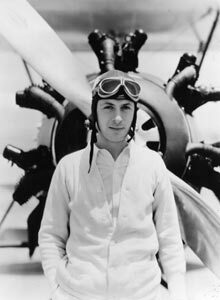 Why didn't Robert Montgomery make more action/adventure movies? There's actually a fight scene where he gives someone a good shellacking (I'm not going to give away any more plot points than I have to here). And as a friend of mine mentioned, the scene where Bob downs a pint is a hoot (now I'm thirsty). As far as cast & crew, you've got your typical British accented cast, with actors you've seen a million times before but can't name. I absolutely loved Elizabeth Allan (first time I've seen her). I'll be looking for more of her movies now. Don't get her confused with Elizabeth Allen, Bob's first wife. Spotted this on IMDB - working title for the movie in the USA, The Mystery of the Dead Police. Just doesn't have the same ring. 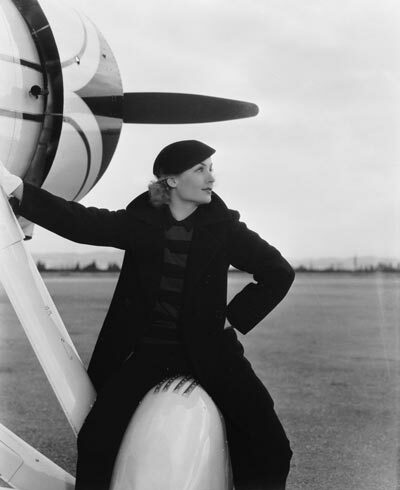 "An interesting sidelight of the airport's history is the fact that several well-known persons such as Tyrone Power, Robert Montgomery and Wayne Morris received part of their flight training at the field." If you have any info, please drop me a line! 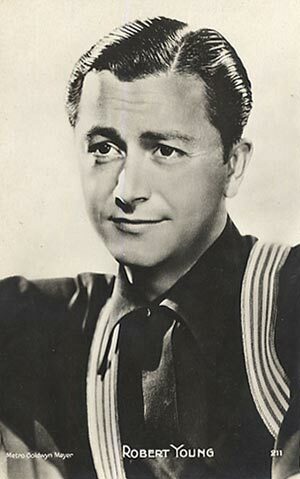 One interesting thing I found on EarlofHollywood.com, in the Publicity & Candid section are some photos of Bob & a model airplane - given to him by Reginald Denny. 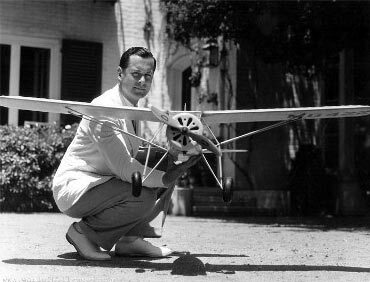 If you remember one of my older posts, Reginald Denny was big into radio controlled aircraft. 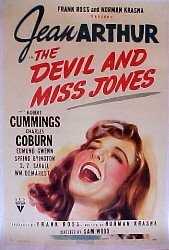 Just want to put in a plug for a movie on TCM this Saturday, June 3, 12:30 a.m. (not sure if Central or Eastern) - The Devil and Miss Jones (1941). 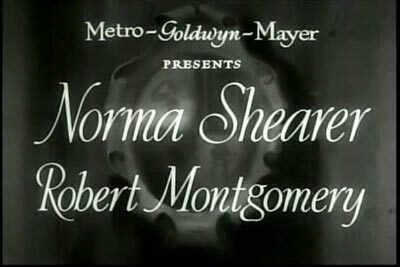 Cute movie with Jean Arthur, Robert Cummings, and Charles Coburn. A nicely done comedy that has a different feel from other movies of the time. Lately I've been paying more attention to the credits at the beginning of movies. Specifically, I've been looking at the design, etc. 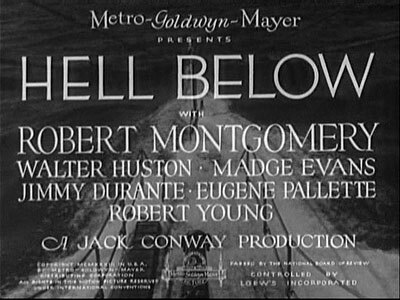 There's some bit of art & history in those movie title screens (I have a thing for fonts I think).